In our fifth installment of our Office Hours conversation series on Facebook Live, we spoke with TheoryWorks founder and Soundfly course instructor Amy Marie Stewart and Broadway performer and educator LaQuet Sharnell Pringle about sight singing, preparing an audition book, and some basic ear training techniques to kick your audition preparedness into high gear! A lot of what we covered in the conversation riffs off information that Amy herself teaches in her brand new Mainstage course, Sight Singing & Harmony Essentials. Go ahead and check the course out; and if you’re interested to dive deep in those topics, you can preview an entire section of the course for free! It was so cool chatting with two experts in a field that I personally don’t know that much about. Here’s the full video of this month’s Office Hours session below and we highly recommended you watch the whole thing, but if you’re pressed for time, I’ve broken out three key takeaways that I took from our conversation. How does ear training help you stand out at auditions? In this special edition of Soundfly Office Hours for aspiring Broadway actors, we'll walk you through some of the most crucial skills that will help you nail your next audition and book more work. Post your questions below for our live audience Q&A with actor/voice teacher Amy Marie Stewart and Broadway performer/educator LaQuet Sharnell Pringle! 1. What is sight singing? Right off the bat, sight singing is the act of singing something brand new to you, on the spot in an audition or rehearsal without ever having seen or heard that piece of music before. Chances are it’s singing it off of the page for a casting team, or in some sort of performance rehearsal. Amy and LaQuet agree that, from this point, you have one or two passes through the score where the music director (or “MD” for short) might plunk the notes out along with you, but after that, it’s on you. Not for the faint of heart, or the short on practice! This is a skill that takes time to develop, but — with the assistance of a vocal coach or mentor giving appropriate challenges and feedback — it can become as natural as reading the news. Here are a few quick things Amy suggests you identify right away when you’re given a new piece of music. What key are you in? Is this song gonna be in major or minor? Are there lots of chromatic notes (a.k.a. accidentals, or extra sharps/flats)? Do you see any obvious major or minor scalar runs (or other musical “words” strung together that you’ll probably know how to sing already)? 2. How do you find your vocal register and write it on your résumé? Knowing what notes you can comfortably sing is essential in conveying what kind of singer you are to a casting director, and helps them understand your potential to play various roles in their production. How can you discover an accurate measure of your range? Here’s an exercise to figure it out! Amy says that once you hear that “false bottom,” that’s beyond the bottom of the range. As far as listing the low end of the register on your résumé, the note should be “buzzy” and full-sounding in order to include it in your “performable” range. You want to make sure that whatever note you put on there is one you can reliably reproduce on command for a casting director…. Because they will ask! From that point, you’ll test a similar scalar pattern in the high range, and also determine where the “break” is in the voice between the full or “chest” voice (your highest “belt”) and the upper or “head” voice. Assessing your range depends on a few factors. Your age — You continue to develop physiologically until well into your 30s and onwards, and your voice changes to reflect that. Your height — Much like with string instruments like violins and cellos, your size plays a role in determining your comfortable and natural range and register. Your training — A good vocal teacher or mentor can always help you expand and realize your range’s true potential! How do you write this on your résumé? The lowest C on the piano is known as C1 for the purpose of résumés and noting ranges. Every note in the octave from that C to the following C is also a “1” (i.e., D1, E1, F1, etc.). Simply find your range’s extremes, identify which octave they are in, and notate them accordingly. Here’s a fun interactive chart of some famous pop singers’ vocal ranges. 3. How often should you practice sight singing? And what makes a good practice routine? It takes deliberate practice with guidance and feedback to improve any skill in a truly effective way — and ideally, that’s daily practice. That’s the only formula that works for learning something new. In order to set yourself up for success, you’ll need to round out your knowledge base musically before you can make a daily regimen. If you don’t understand what it is that you’re trying to work on, you can’t make a plan to work on it. Once the basics are together — identifying key and time signatures, major and minor scales, individual intervals in your parts on a page (using correct interval recall by reading correctly), and everything else you need to understand what’s in the music in front of you — then you can manifest a daily practice. You might have a score you’re currently working on, so you spend some time pulling out sheet music you might not know, give yourself the first note, and try to sight read something. 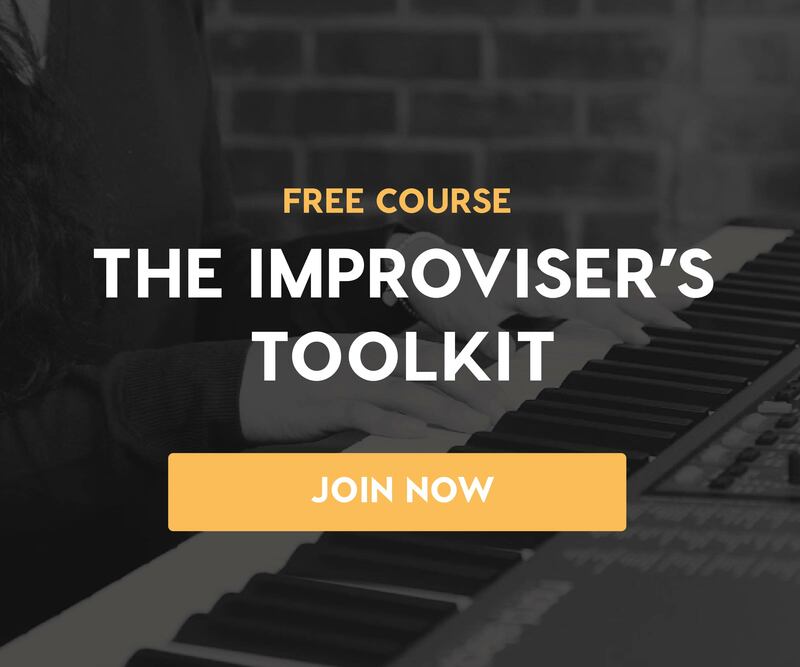 Get those music theory basics tucked away, along with doing a bit of sight reading each day like you’d do the daily crossword, and there’s no way you won’t improve. Add to that guided mentorship, and you’ll be on the fast track to sight singing mastery! Preview both of Amy Marie Stewart’s TheoryWorks courses on Soundfly for free! Check out Music Theory for Broadway Actors and Sight Singing & Harmony Essentials for the opportunity to work with the full support and guided coaching of a Soundfly Mentor throughout the course and along your journey.